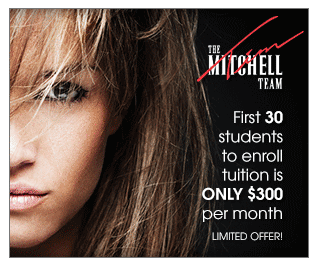 Welcome to Mitchell Cosmetology College, honored to be among the most experienced cosmetology schools in Alabaster AL. Established in 1986, our school has a long established history of helping students develop the advanced skills needed to have successful careers in the artistic, challenging field of cosmetology. We are the oldest Alabaster cosmetology school at the same location with the original founder, Tim Mitchell. Our school has a solid reputation for excellence and outstanding programs, helping our graduates achieve fulfilling cosmetology careers as salon and spa professionals in the beauty industry. 1. Our curriculum incorporates the practical knowledge from today's most successful masters in hair care. We use only high quality product lines in our training and educate our students with outstanding product knowledge. 2. We have high educational standards, small class size, and proven systems to help you develop the skills you need to be successful. 3. Classes are taught by experienced professionals in the industry. As a licensed cosmetology instructor, Tim Mitchell has trained hundreds of successful cosmetologists in advanced techniques of hair color, perming, hair styling and his geometric hair cutting techniques. 4. Our program uses innovative strategies that blend professional techniques with retail and business-building skills. We'll inspire you to think "beyond the chair" and you'll graduate with the knowledge to not only pass the State Boards, but to become a top cosmetologist in the salon and spa industry. 5. You will learn not only the latest styling cutting techniques, but also skills for client retention, consultation and communication as well as tips for interviews. 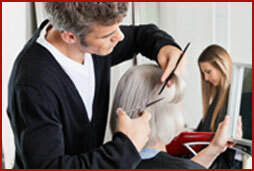 Our Alabaster cosmetology school has a comprehensive program designed for success. 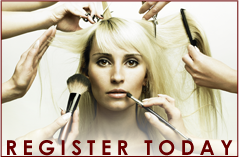 Begin your journey to a rewarding career as a salon professional today. 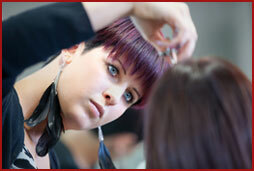 What sets our school apart from other cosmetology schools in Alabaster AL? It's more than just our name. Our philosophy, our approach to teaching, and our methods, class size, and techniques are a cut above the rest. What are the requirements for enrollment? How long does it take to graduate? What supplies will I need to get started? What techniques will I learn? Find the answers to all of these questions and more.